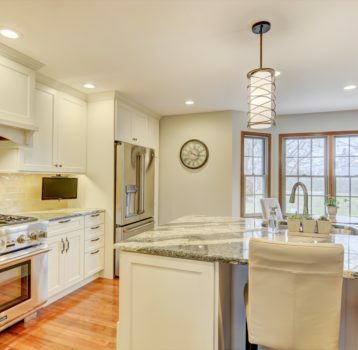 Painted cream cabinets, diamond shaped backsplash tile, two stunning complimenting granite pieces and brass accents are just the start of the beautiful design elements in this kitchen remodel. 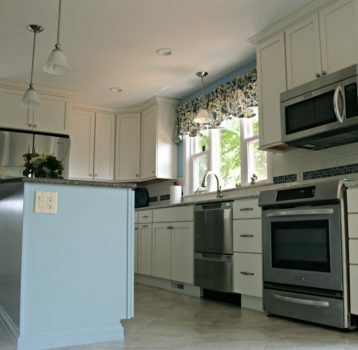 This new kitchen design matches the charm and character of this older home. As a hub to several rooms of the home - entry hall way, garage entry, laundry space and back yard entry, formal living room, dining room and family room - ease of traffic flow was important. Meeting the functional needs of an entertaining family, a homeowner who truly cooks AND desire for a polished look that will last long into the future all comes together. Although now neatly remodeled, the laundry room can now be hidden with use of barn door hardware. 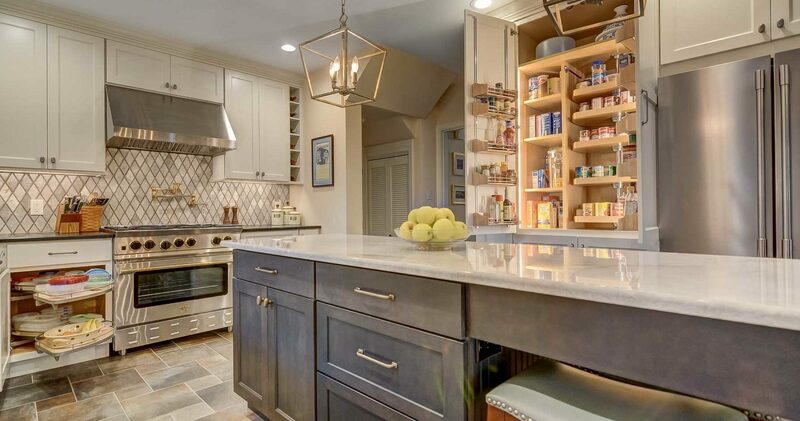 Beverage center with contrasting cabinetry and complimenting tile makes a style contribution and more importantly, reduces unnecessary traffic in the kitchen. 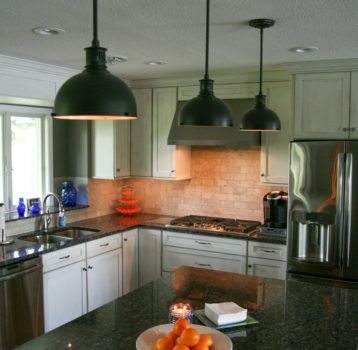 Kitchen and dining spaces now compliment one another and beg you to sit and enjoy mornings with a great cup of coffee.